Mold (or mould) is a term used to refer to fungi that grow in the form of multicellular thread-like structures called hyphae. Fungi that exist as single cells are called yeasts. Some molds and yeasts cause disease or food spoilage, others play an important role in biodegradation or in the production of various foods, beverages, antibiotics and enzymes. 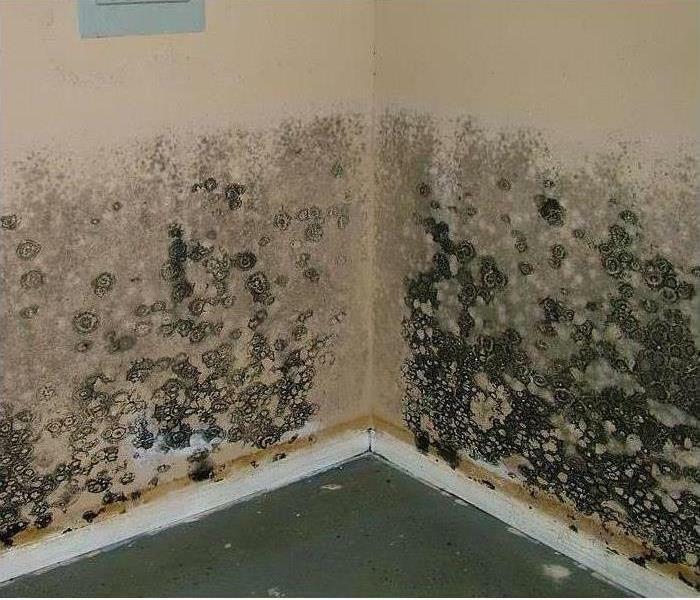 Mold is also found in damp building materials where it often appears like stains and comes in a variety of colours. A must smell is an indication of microbial growth even when there is no visible growth. If mold is allowed to grow in homes or offices it can contribute to poor indoor air quality. Some molds such as the Dry Rot Fungus, Serpula lacrymans, are highly destructive. For more details about dry rot fungus read Occurrence and Significance of Dry Rot Fungus, Serpula lacrymans. Mold growth requires moisture. The sources of moisture could be Washing, cooking, air humidifiers, condensation or leaks from plumbing or from the outside. Poor ventilation contributes to higher humidity levels and leads to condensation, which also allows mold growth. Molds release small “spores” into the air. So, when mold grows indoors, the number of mold spores and fragments is usually higher indoors than it is outdoors. These spores are small enough that people can actually inhale them deep into the lungs. Very often, when a fire or smoke damage occurs, the air ducts in your home can be affected. Here is some information on getting them cleaned from Home Advisor: The cost of cleaning your air ducts is determined by the size of your air duct system and the extent of contamination. On average, homeowners spend between $265 and $471, with $352 being the national average. Did you know that cleaning your ducts and vents can help airflow and increase energy efficiency? According to the Environmental Protection Agency (EPA), keeping your air ducts and vents clear can increase energy efficiency and indoor air quality. While the cost to clean ducts and vents might sound high, the benefits to homeowners?especially those sensitive to allergens?is worth considering. When looking to have your ducts cleaned, or any other part of your home, for any reason, give SERVPRO® of South-East Monroe County a call (585-641-0040)! We are here to help you make it "Like it never even happened." Flood/Flash Flood Watch—Flooding or flash flooding is possible in your area. Flood/Flash Flood Warning—Flooding or flash flooding is already occurring or will occur soon in your area. information from the National Weather Service (NWS). - Be prepared to evacuate at a moment’s notice. - When a flood or flash flood warning is issued for your area, head for higher ground and stay there. - Stay away from floodwaters. If you come upon a flowing stream where water is above your ankles, stop, turn around and go another way. Six inches of swiftly moving water can sweep you off of your feet. - If you come upon a flooded road while driving, turn around and go another way. If you are caught on a flooded road and waters are rising rapidly around you, get out of the car quickly and move to higher ground. Most cars can be swept away by less than two feet of moving water. - Keep children out of the water. They are curious and often lack judgment about running water or contaminated water. - Be especially cautious at night when it is harder to recognize flood danger. - Because standard homeowners insurance doesn’t cover flooding, it’s important to have protection from the floods associated with hurricanes, tropical storms, heavy rains and other conditions that impact the U.S. For more information on flood insurance, please visit the National Flood Insurance Program Web site at www.FloodSmart.gov. Even small water damages have the potential to cause serious structural and indoor air quality issues over time. The key to avoiding costly future restoration is to handle every water problem as a real threat to your property. SERVPRO of South-East Monroe County has the equipment, training and experience to find and dry unseen water before secondary damages occur. The proper equipment makes a measurable difference in reducing the damage expense during a fire or water loss. When time matters, technology and equipment must be counted on to perform. SERVPRO® of Victor/Canandaigua will answer your call with fast action and a full arsenal of drying equipment. Here are a few of the tools used by your local SERVPRO® Franchise Professionals. Thermohygrometers measure temperature and relative humidity. When armed with this information, SERVPRO® of Victor/Canandaigua can calculate and create an environment most conclusive to drying. What is the bottom line? SERVPRO® of South-East Monroe County (585-641-0040) has the training and equipment to help make it "Like it never even happened." Ask whether it is safe to enter the home. Do not enter if the fire authorities deem it unsafe. They may establish a safety zone, but never assume a room is safe, until it has been cleared to enter. Contact family members and let them know you are safe, and unharmed. Contact your insurance agent. They will be able to talk you through the necessary steps, including proper documentation and emergency lodging and living expenses (keep all of your receipts!) The insurance company may assist in securing a company to help with clean up options. You may request SERVPRO at this time for contents cleaning, restoration etc. Contact SERVPRO. Another call may be to your landlord if applicable, and to your local American Red Cross. SERVPRO is the preferred restoration partner to The American Red Cross. 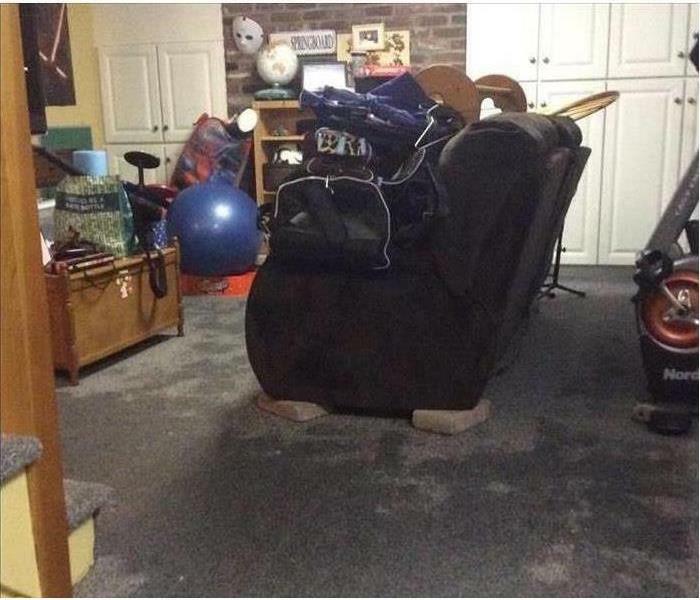 Secure the property to prevent possible looting. SERVPRO is available to assist with securing property/ Board Ups. If water hoses were used to exterminate the fire, drying your home is critical. It is best to call the professionals at SERVPRO to do water/ fire cleanups. Water can lead to mold damage if not dried properly. SERVPRO is an approved restoration contractor for many major insurance carriers and adheres to the highest standards in the restoration industry. Seek counseling if needed. Children and adults can feel a traumatic sense of loss, and may need help to avoid a lasting sense of sadness and disorientation after a house fire. Don’t be afraid to reach out for help. A house fire is a traumatic event and individuals need to be treated with respect and compassion by those close to the process of rebuilding. If a fire starts in your home you may have as little as two minutes to escape. 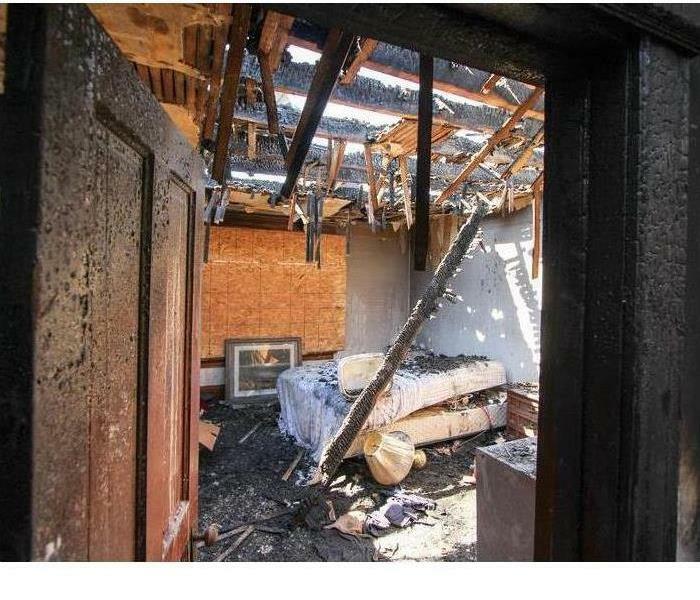 House fires can be devastating and the road to recovery is long and hard. Educating yourself on the leading causes for house fires and prevention is a step in the right direction to ensure that your family and home are safe. Many electrical fires in homes or businesses are caused by faulty electrical outlets, old wiring, outdated appliances or electrical cords that are frayed. -If you live in an older home have an electrician complete an inspection. Standards and codes are constantly being revised and updated to ensure safety. -Do not overload your circuits. -Understand the difference between surge protectors and power strips. Both devices allow you to plug in multiple electronics, but only the surge protector will help protect your electronics from a power surge. Carelessness in the kitchen can lead to devastating house fires. The leading cause of kitchen fires is due to unattended cooking. It’s important to be alert to prevent cooking fires. -Never leave pots or pans unattended on your stove. -Keeping your stove an oven clean will prevent buildup of food splatter and grease that could later ignite when the stove or oven is turned on for cooking. -Ensure that you have a fire extinguisher in your kitchen in case of emergency. 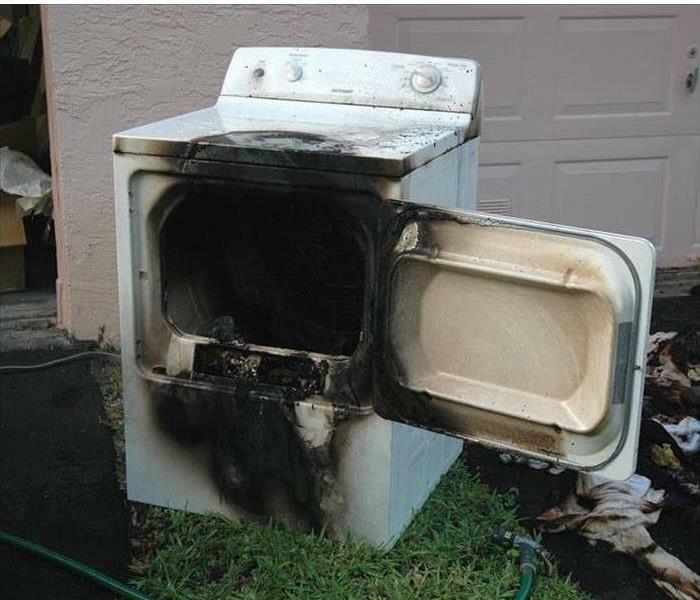 Dryer vents are becoming a much bigger and more common safety problem. Over time, your dryer vent fills with lint that sneaks by your dryers filter. Fires can occur when the excess lint builds up in the dryer or exhaust duct. -Clean out the dryer vent regularly. -Clean the lint filter after EACH load of laundry that is dried. -Clean underneath and behind your dryer to eliminate any lint that collects. 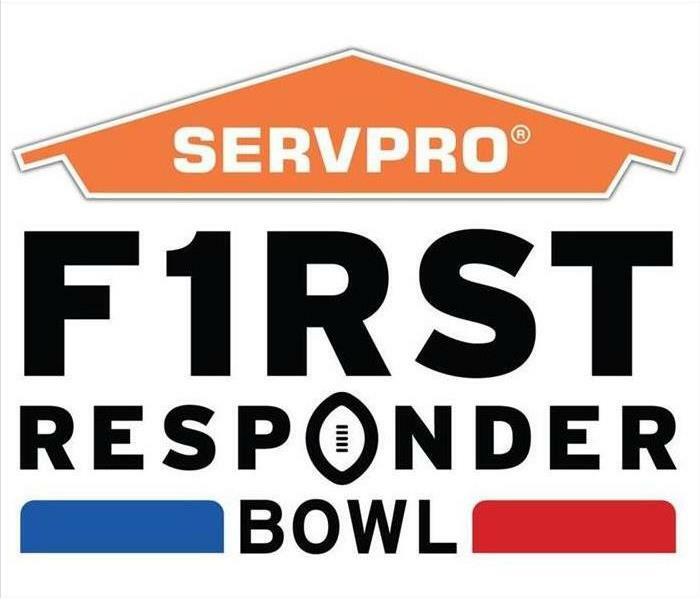 SERVPRO of South East Monroe County not only covers all of Monroe County, but is also a part of all four national SERVPRO storm teams. As a storm team we organize and manage efforts in all 50 states if a wide-spread disaster were to strike. 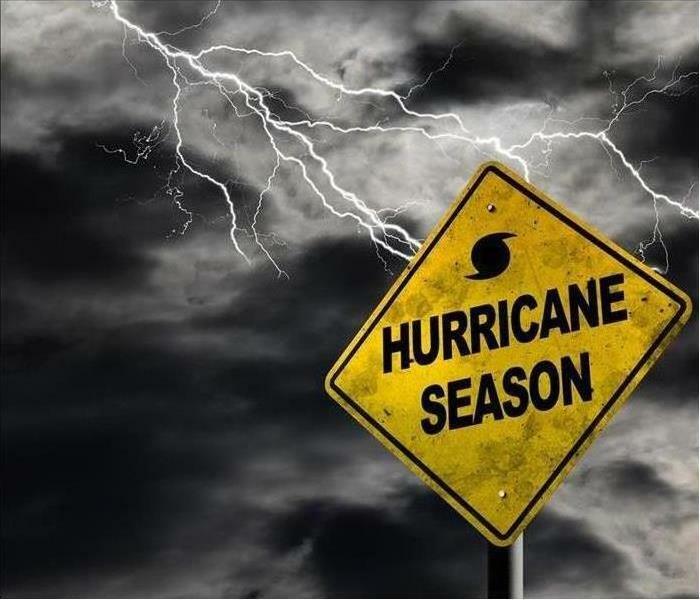 During these catastrophic events, storm teams will mobilize in the area bringing a large number of crews, equipment, and resources to customers affected. Each storm team is managed from one office, where the team receives customer information, organizes that information and responds to the customer quickly and professionally. We recruit crews starting with the closest to the affected area and move outward in concentric circles to ensure we are "faster to any size disaster." 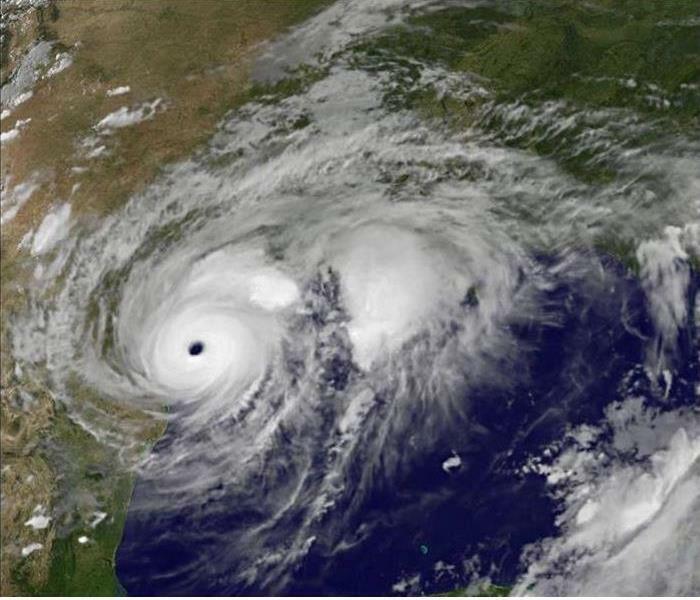 As a SERVPRO national response team we respond to disasters as large as Hurricane Harvey and Irma to local flooding or freeze events. If you and your family were away from home when the storm hit, do not return until it has been confirmed safe. 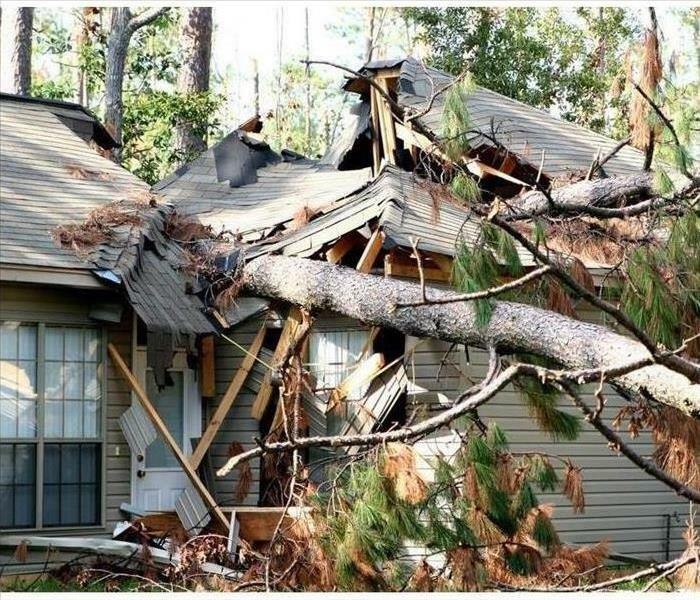 Contact a storm damage expert like SERVPRO of South East Monroe County; we’ll help you determine if your home is safe to return to. Document your neighbor’s damages, as well; this can prevent the insurance provider from downgrading your claim by saying the damage is from your neglect of maintenance or other unrelated issues by giving them a way to compare. Keep a record of all the communication you have with your insurance provider, and don’t do any unnecessary repair work yourself. Hire a trusted storm damage restoration service provider such as SERVPRO of South East Monroe County to handle any repairs. The SERVPRO of South East Monroe County team is ready to help 24/7. Call us for your fire or water damage issues at (585) 641-0040. The game will be played on December 26th, 2018 at 12:30pm at the historic Cotton Bowl Stadium in Dallas, TX and broadcast on ESPN. For most, the kitchen is the heart of the home, especially during the holidays. From testing family recipes to decorating cakes and cookies, everyone enjoys being part of the preparations. With that being said, keeping fire safety top of mind during this joyous but hectic time is important, especially when there's a lot of activity and people at home. As you start preparing your holiday schedule and organizing that large feast, remember, by following a few simple safety tips you can enjoy time with your loved ones and keep yourself and your family safer. Thanksgiving is the peak day for home cooking fires, followed by the day before Thanksgiving and Christmas Day. 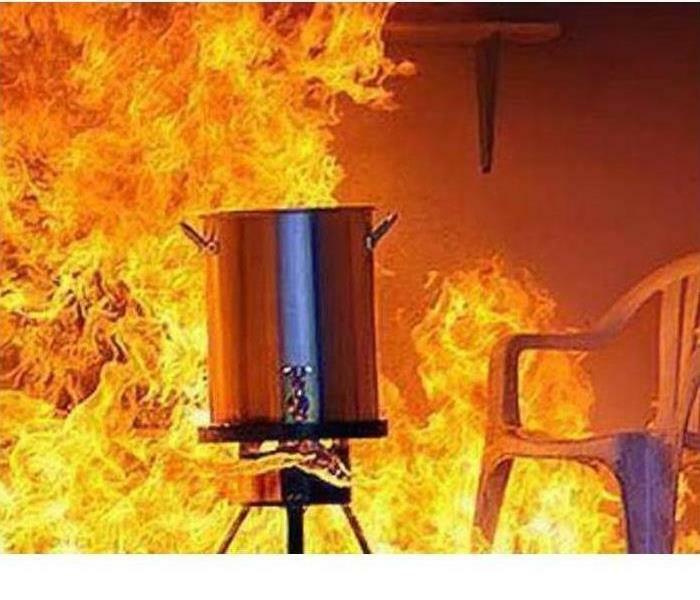 In 2015, U.S. fire departments responded to an estimated 1,760 home cooking fires on Thanksgiving. Unattended cooking was by far the leading contributing factor in cooking fires and deaths. Cooking equipment was involved in almost half of all reported home fires and home fire injuries. Stay in the kitchen when you are cooking on the stove-top. Keep children away from the stove. Make sure kids stay away from hot food and liquids. Keep the floor clear so you don't have any slips, trips or falls. Be sure electric cords are not dangling off the counter. Keep matches and utility lighter out of reach. Ensure your smoke alarms are in working condition. 12/3/2018 - Do You Know What Mold is?